Designed to help empower skeptics, seekers, nonbelievers, and those of a liberal and progressive outlook to reclaim the Bible from literalists. Includes four preliminary chapters on the why, who, which, and how of bible understanding, followed by eight brief thematic chapters covering the core of the Hebrew Bible and six covering the Christian scriptures, plus chronologies, maps, and helpful suggestions for further reading. This book is useful to all of us who are, or might become, UU. The author, UU minister and former UUA President, Rev. 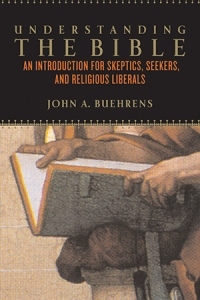 John A. Buehrens, writes "An Introduction for Skeptics, Seekers, and Religious Liberals". Ever been skeptical of the fundamentalist out of context quotes from the Bible? You should be. Ever have fundamentalists in your family, and want to be able to equal/counter them on the Bible? Ever know that questioning on the Bible is strong in the better divinity schools, such as Chicago, Harvard, Yale, and Duke, and has gone on since before the Reformation, but is unknown or suppressed by many who call themselves Christian? Ever thought of how misuse of the Bible has effected public policy and politics? Ever want to learn about the Bible without being pushed to be Christian? In my opinion, this book should be read by every educated American who wants to be whole. Filled With Heresy and False Teaching. Would Recommend Systematic Theology instead.